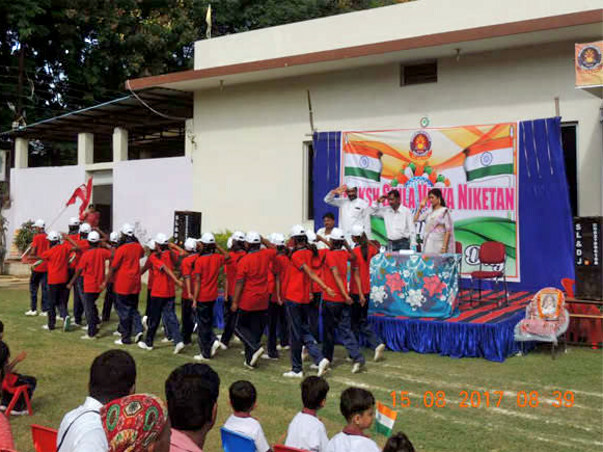 Daksh Shila Vidya Niketan (DSVN), Bilaspur came into existence in the year 2013 in a very small scale in Deendayal Colony Mangla Bilaspur. During the later years, the management decided to close the school (due to financial problems) for a time being when we (Rekha Rao and T Shrinivas Rao) met them. We somehow tried to convince the management not to close and finally we took over the school, under severe circumstances and situation and seeing to the future of nearly 90 students of the school we started it in all new format and now the children have found a whole new atmosphere and environment with the same name but a better place. This fundraiser is meant for these children and others also who were admitted in the school hoping to avail them with some good and quality education. In all a total of 180 students have been enrolled in the school and out of these around 80 are there whose parents are not able to afford any fees, unable to purchase uniform or books and copies. We being the part of Daksh Shila Vidya Niketan (DSVN) are trying to manage with their problems and have tried our level best so far to provide them all the needed facilities and guidance so far, whatever we the little sources we could arrange. The new management, ourself, have tried all sorts of sources which we can arrange personally and had been running the DSVN since January 2017. But now comes the true fact that never a school runs without teachers and the teachers can’t work without salaries. We have got some handful of good and quality teachers who have been supporting us till date but now it has become difficult for both of us (DSVN and Staff) to maintain with the little available sources and finally sorted to get help from outside. Approaching for a fundraising was a major step forward which we have agreed to take and came up with a decision to put the fundraising campaign to get support and financial assistance from other sources precisely saying to get help from donations. To conclude, we the family of Daksh Shila Vidya Niketan (DSVN) are trying to raise the funds so that we can continue with the school and continue to help these and other students in the days to come. We are not professionals that if a child is unable to pay the fees then we would ask them to sit at home but instead we are trying get support from people of this great nation to help such students for their bright future. We need the funds at the earliest (by November end) so that we can get some support and some more facilities for these students. We are planning to setup up with a good Computer Lab, Laboratory, Library and Staff Salaries and for that we need to raise nearly 15 to 17 lakhs by this month end and thus we need the support at the earliest. Daksh Shila Vidya Niketan (DSVN) Family proposes thanks in advance to all the donors who can help up to run with the school and continue with our little efforts.